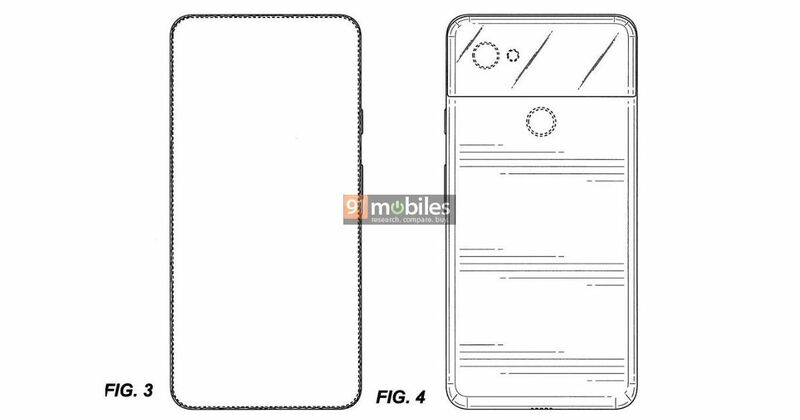 Google patents a smartphone with an all-screen design; could it arrive on the Pixel 4? Last October, Google unveiled its latest Pixel smartphones, dubbed the Pixel 3 and Pixel 3 XL. While the Pixel 3 continued to offer an 18:9 display with thick bezels above the display, the Pixel 3 XL adopted a display notch for a higher screen-to-body ratio. Now it appears that the Mountain View tech giant is finally planning to join the club of full-screen, notch-free smartphone manufacturers. 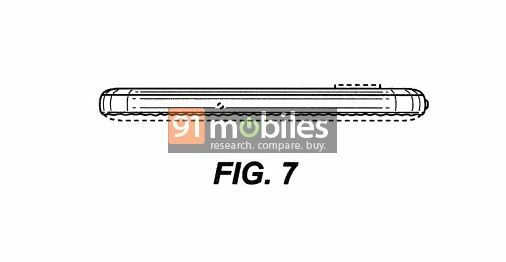 The company has recently been granted a patent for a phone, which could be the brand’s first all-screen phone with an edge-to-edge display. Just a few days ago, a new Google mobile patent appeared on the World Intellectual Property Organisation’s website. The listing also includes a handful of sketches of this smartphone, which show off its design. 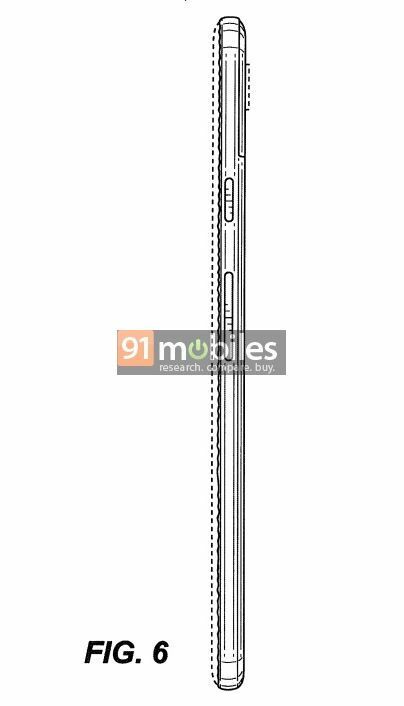 One of the sketches shows that this handset doesn’t feature a notch and has a full-screen display – the phone seems to have almost non-existent bezels around the screen, eliminating even the relatively thick chin at the bottom from the Pixel 3 XL. On the rear, the device looks quite similar to the Google Pixel 2 XL. The smartphone has a single primary camera, accompanied by a LED flash at the rear, apart from a fingerprint sensor. 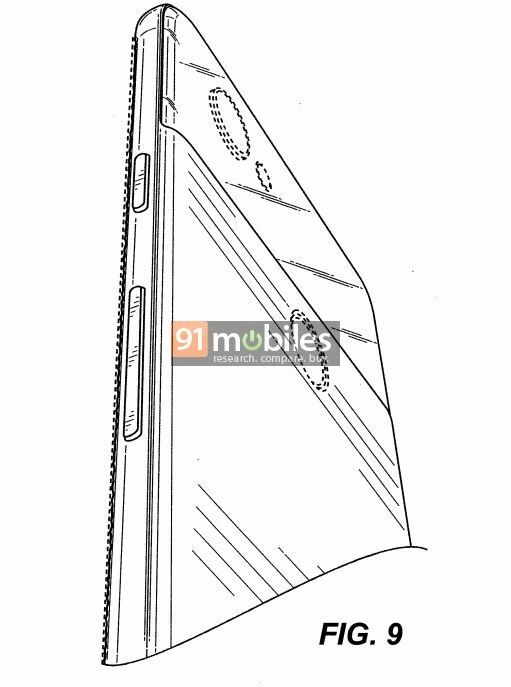 Furthermore, the sketches show that this mobile phone has a two-tone finish at the rear, just like the Pixel 2 XL. The device’s power button and volume rocker seem to be placed on the right side, while the left side appears to have a SIM card tray. At the bottom, you can see a USB Type-C port, while the top contains a microphone. The phone doesn’t have a 3.5mm headphone jack, just like the 2nd-gen and 3rd-gen Pixel phones. Unfortunately, the patent hasn’t revealed anything else about this Google phone. 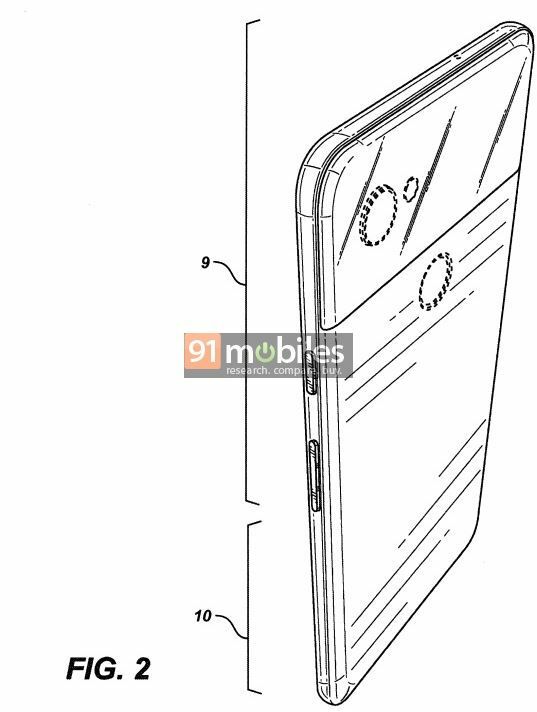 Also, it’s not clear where the selfie camera will be placed on this device – there’s no notch or a punch-hole design to house the selfie camera. The sketches don’t show the presence of a sliding camera mechanism either, which some phone makers have used to offer a truly bezel-free design. 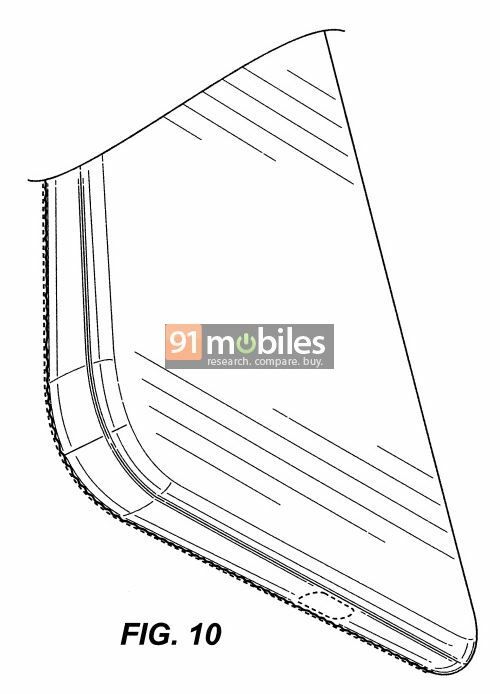 At the moment, it can’t be confirmed if this will be the design of the next-gen Google Pixel smartphones. In related news, Google is reportedly working on affordable versions of the Pixel 3 duo, which are expected to arrive as the Pixel 3 Lite and Pixel 3 XL Lite. We’ve already seen a handful of CAD-based renders and 360-degree video of these devices. The alleged Pixel 3 XL Lite was recently popped on the Geekbench. Sadly, as of now, there’s no word when the is planning to officially launch these phones.